Winner of Teenage Book of the Year Award 2009. 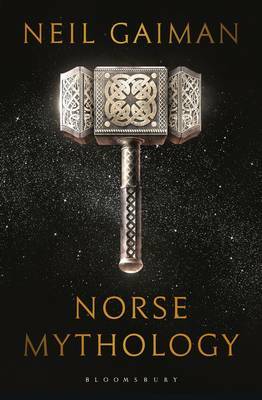 Winner of Best Novel at the Hugo Awards 2009. Winner of the 2009 prestigious Newbery Medal. Spooks galore in this brilliant and fantastic story of life in the graveyard. When Baby Bod escapes a murderer intent on killing his whole family, he is taken in by the graveyard ghosts. A stunningly original novel deftly constructed over eight chapters, each of which depicts every other year of Bod’s life, a separate story of Bod’s life unfolds and always in the background there is the sinister, haunting presence of a killer. Bod’s curious tale is a masterpiece of original, absorbing and unstoppable story telling. This edition is illustrated in a breath-taking fashion by Dave Mckean. Gaiman was asleep in bed in Los Angeles this morning when he was phoned by the award's committee and told he had won. 'You are on a speakerphone with at least 14 teachers and librarians and suchlike great, wise and good people, I thought. Do not start swearing like you did when you got the Hugo. This was a wise thing to think because otherwise huge, mighty and four-letter swears were gathering. I mean, that's what they're for,' Gaiman wrote on his blog after the call. Gaiman's The Graveyard book is the story of Nobody Owens, known to his friends as Bod, who lives in a graveyard and is raised by ghosts. 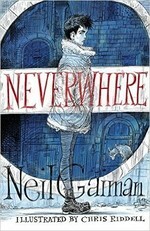 The Newbery, which picks 'the most distinguished American children's book published the previous year', has been criticised in recent weeks for being out of touch with its readers; the choice of Gaiman - a perennial bestseller - as winner, puts paid to claims that the judges favoured books with a limited appeal. Named in honour of 18th-century British bookseller John Newbery, the award was founded in 1922, with previous winners including children's classics such as Hugh Lofting's The Voyages of Dr Dolittle, Madeline L'Engle's A Wrinkle in Time and Lloyd Alexander's The High King. When a baby escapes a murderer intent on killing the entire family, who would have thought it would find safety and security in the local graveyard? Brought up by the resident ghosts, ghouls and spectres, Bod has an eccentric childhood learning about life from the dead. But for Bod, there is also the danger of the murderer still looking for him - after all, he is the last remaining member of the family. A stunningly original novel deftly constructed over eight chapters, featuring every second year of Bod's life, from babyhood to adolescence. Will Bod survive to be a man?